Description: Come see this inspiring film as we head into May Day! 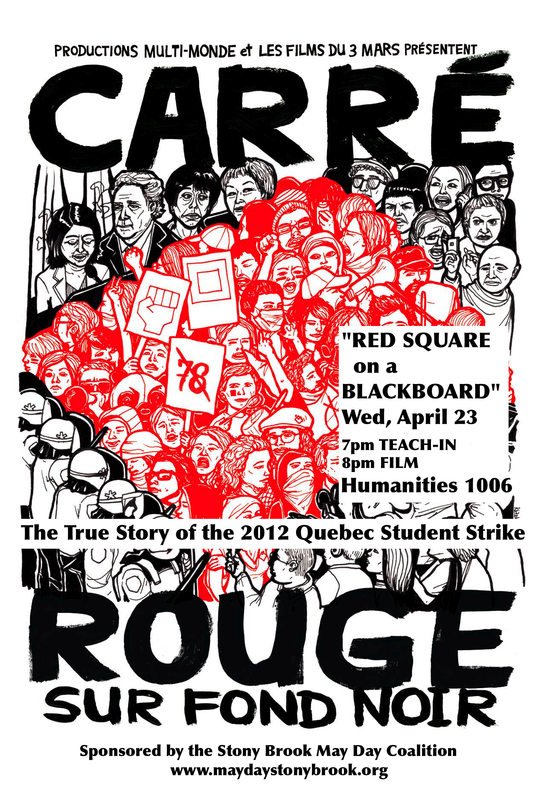 RED SQUARE ON A BLACKBOARD (Carré rouge sur fond noir) takes the viewer into the heart of the 2012 Quebec student strike to oppose tuition hikes, one of the most important popular mobilizations in Canada’s history. TEACH-IN & DISCUSSION w/ special guest James of ALL IN THE RED at 7pm. FILM begins at 8pm.